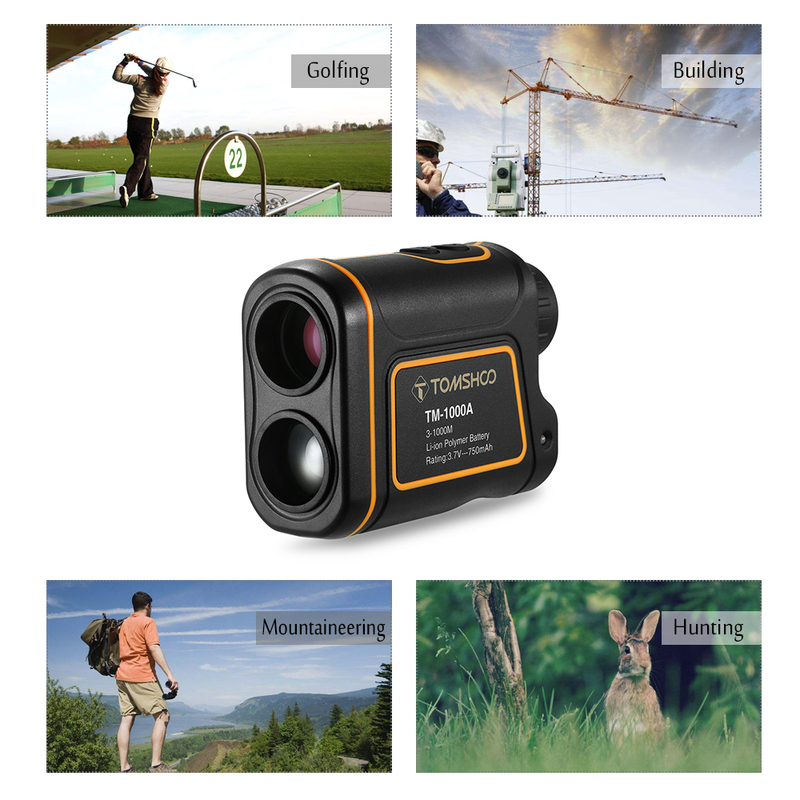 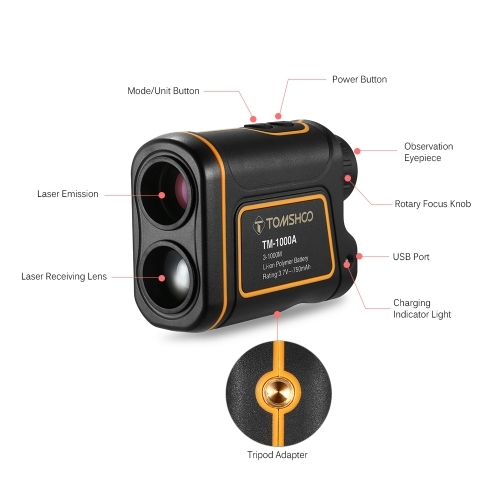 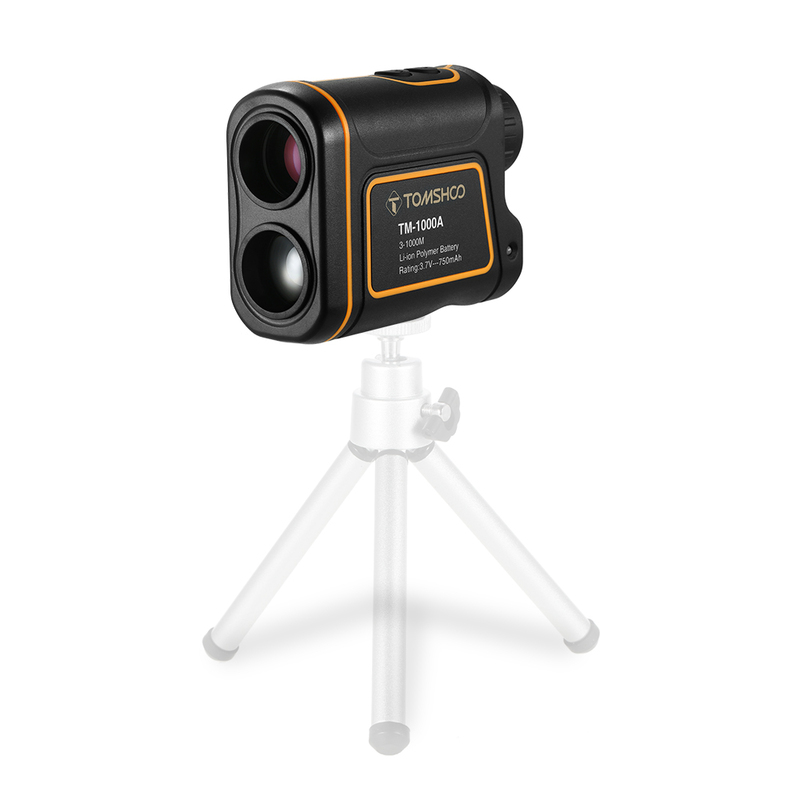 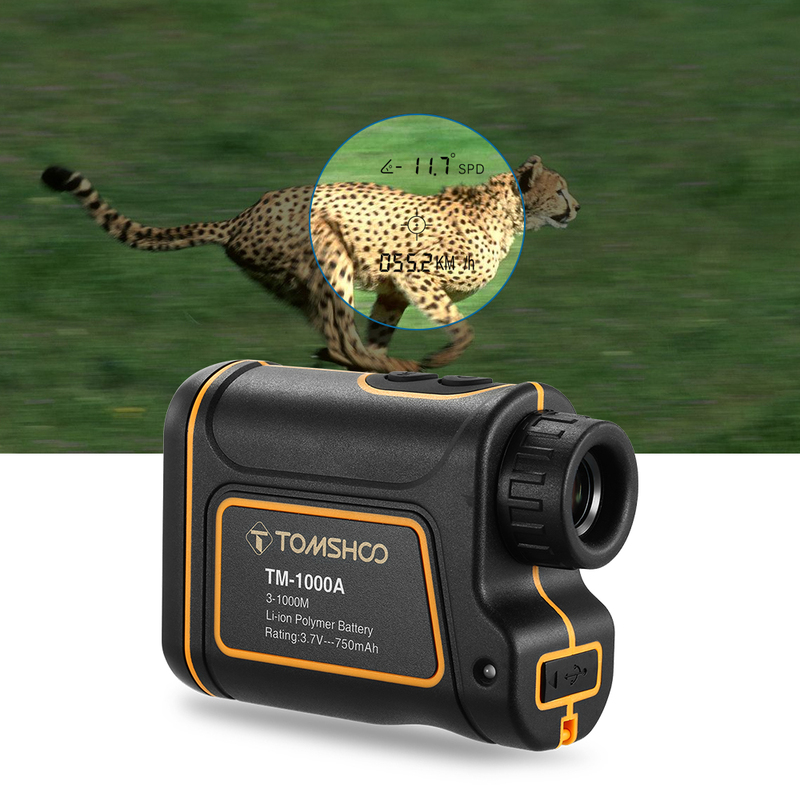 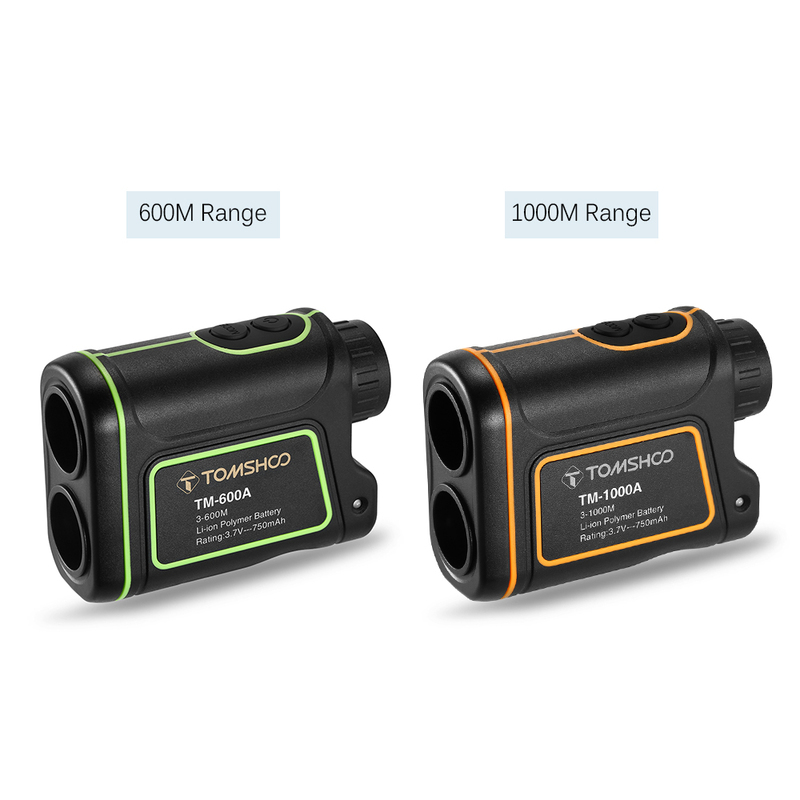 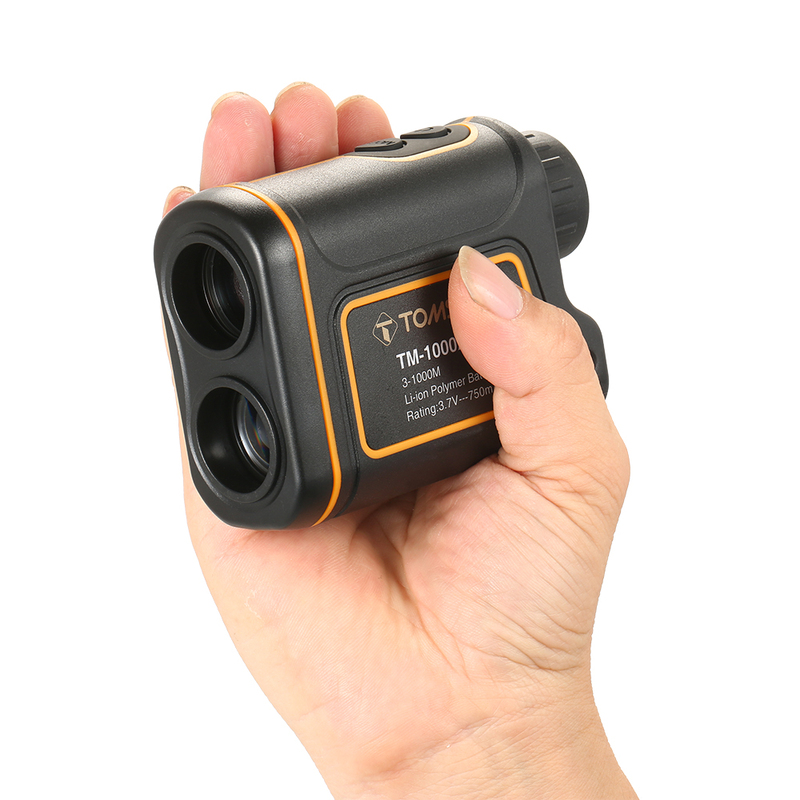 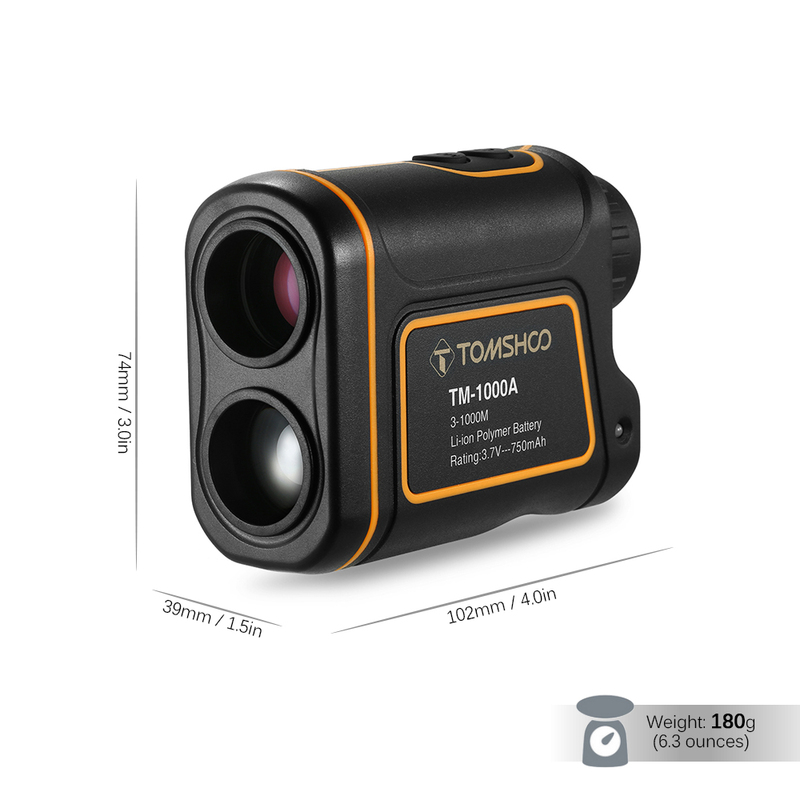 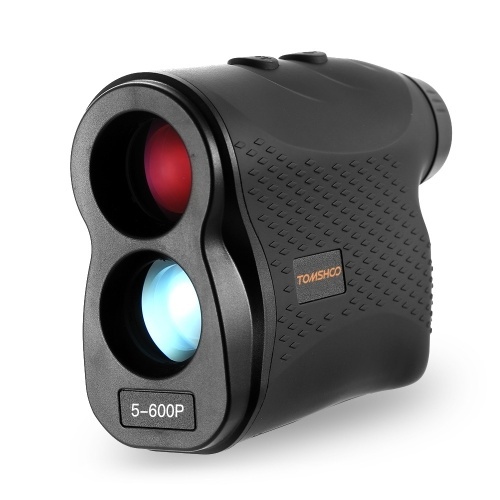 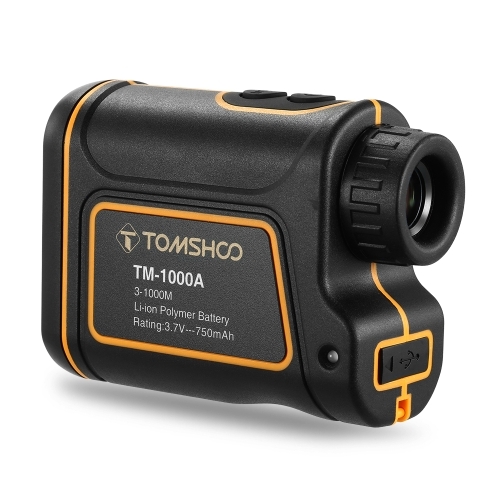 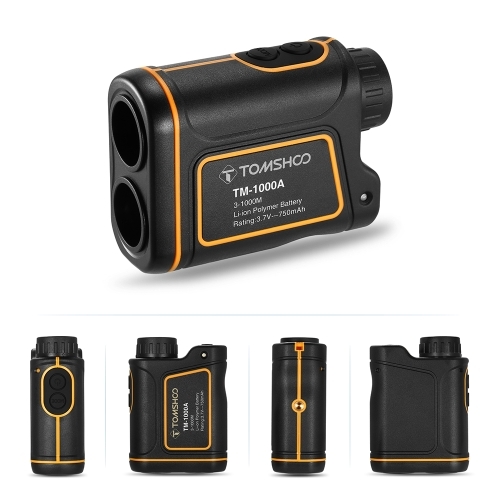 TOMSHOO New Version Laser Rangefinder has a range of up to 600 meters or 1000 meters to the target, with +/- 1 yard accuracy. 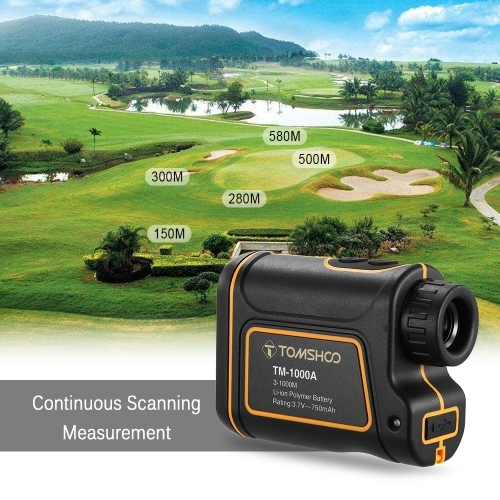 It makes target measurement easy with its laser technology and fast focus system. Thanks to the 7x magnification and fully multi-coated lens, the distant events will be drawn close to your eyes immediately and through the display you'll have a full knowledge of the distance / speed, angle, height of the target. With built-in rechargeable battery, the rangefinder easily charges from any USB device and serves 30,000 times of measurement after fully charged. 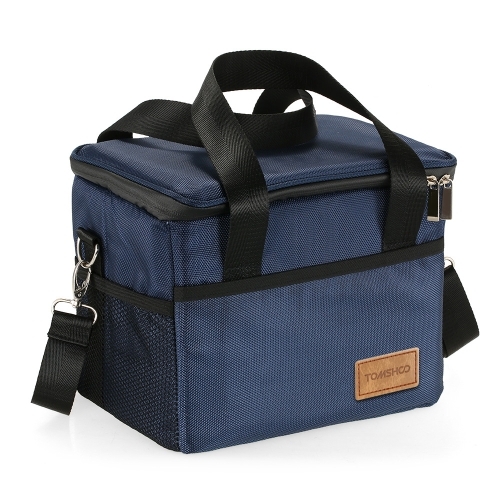 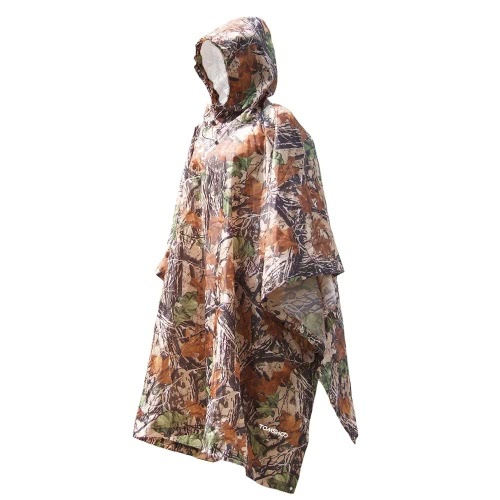 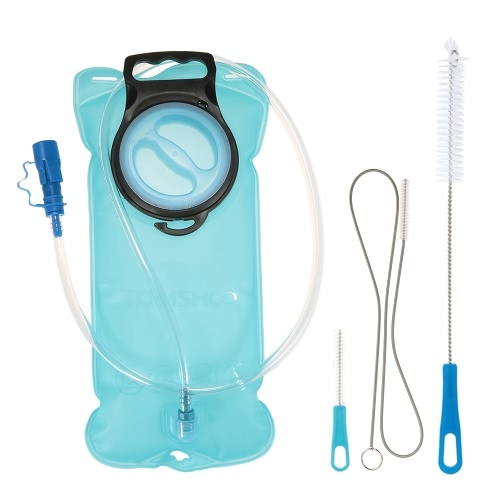 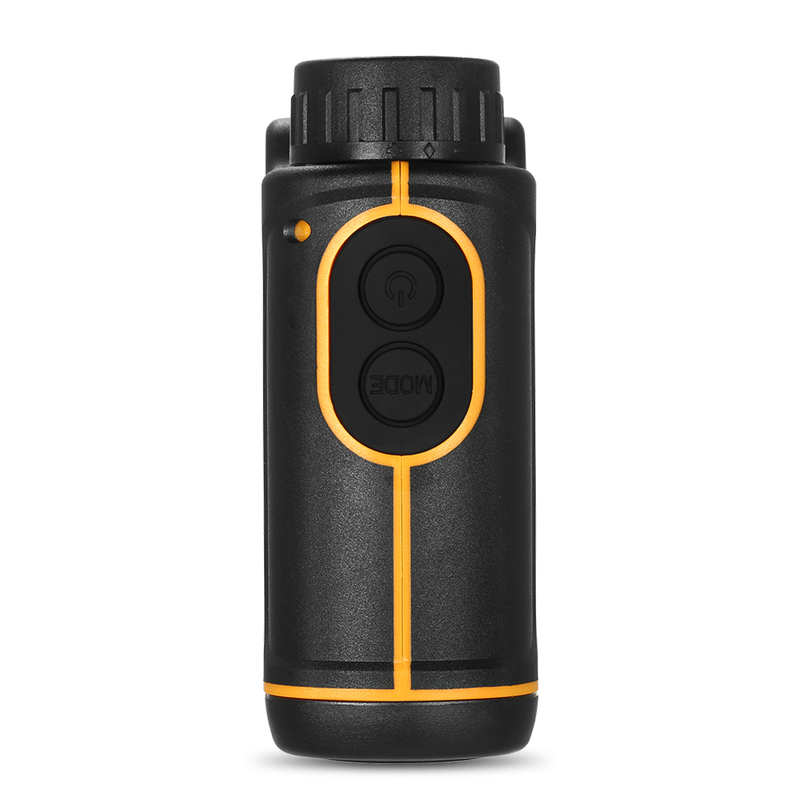 It is small, lightweight and water-resistant, stuff it in your pocket or backpack and get ready for your adventures at any time. 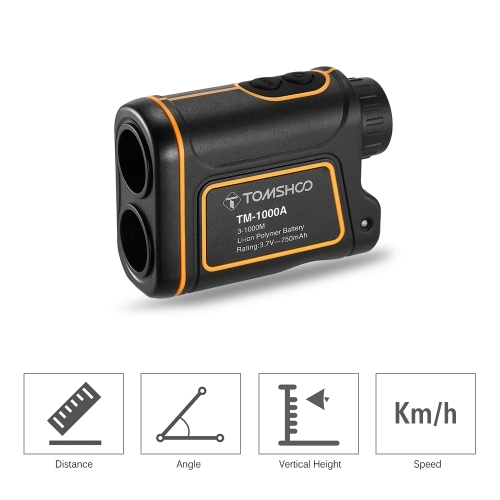 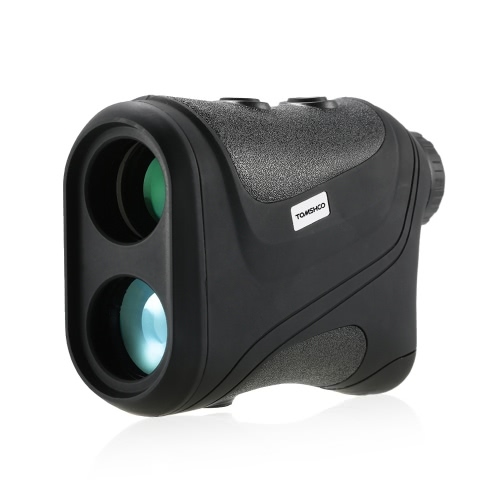 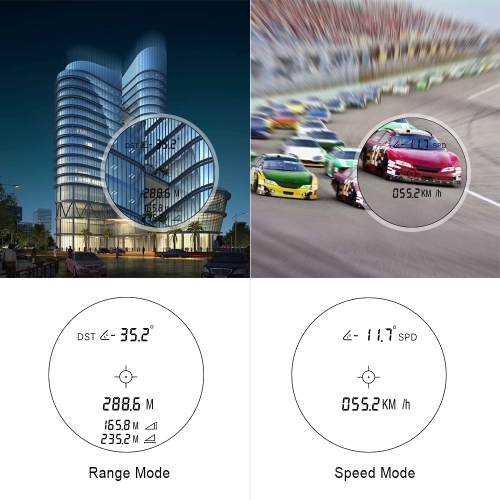 ACCURATE MEASUREMENT: This premium laser range finder, with the decent laser technology, is capable of measuring a long range up to 600-meter or 1000-meter with an accuracy of +/- 1 yard, through the easy-to-read lens display shows distance/speed, angle, horizontal distance, vertical height. 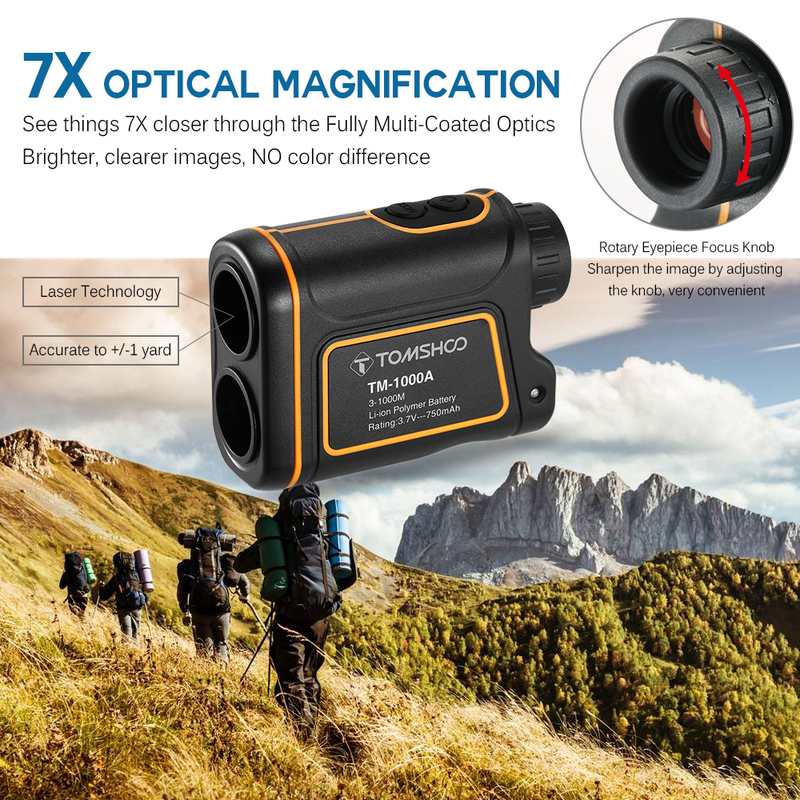 SHARPER CLEARER IMAGES: 7X magnification and fully multi-coated optics guarantees superior light transmission and bright clear images without any color difference. 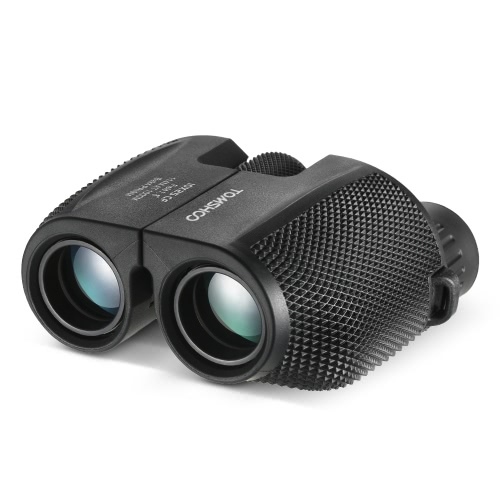 The eyepiece knob is easy to adjust diopter and sharpen the image captured, convenient to measure the target. 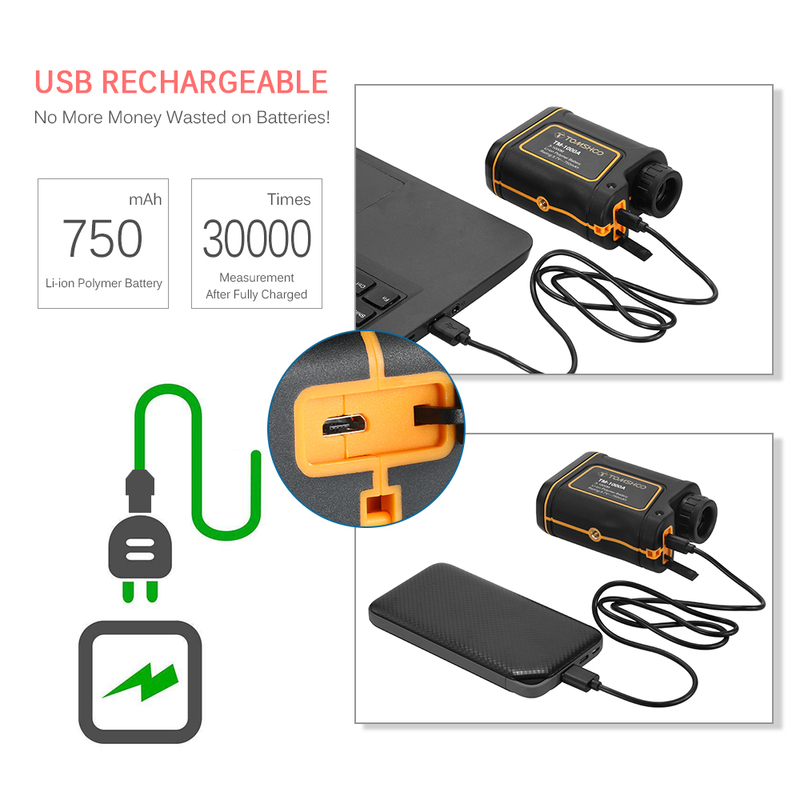 USB RECHARGEABLE: Recharges from your computer or any device with a USB port, and offers a single measuring up to 30,000 times after fully charged. 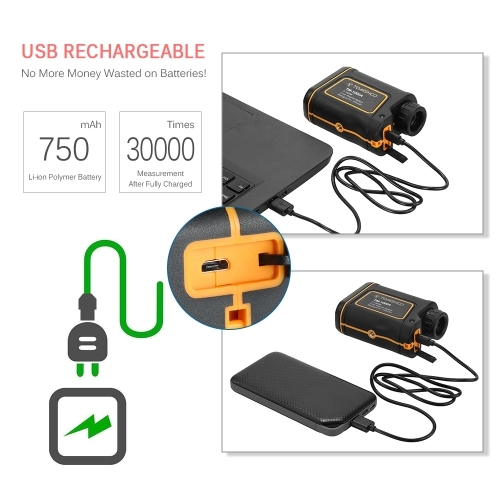 No more money wasted on batteries any more! The smart low-battery indicator will remind you to charge the device in time. POCKET SIZE & PORTABLE; Measures just 4.0" * 3.0" * 1.5" and weighs only 6.3oz with a water resistant body, this laser rangefinder scope perfectly fits in your pocket without extra weight, great for golfing, hunting, surveying, mountaineering, sporting events and outdoor adventures. 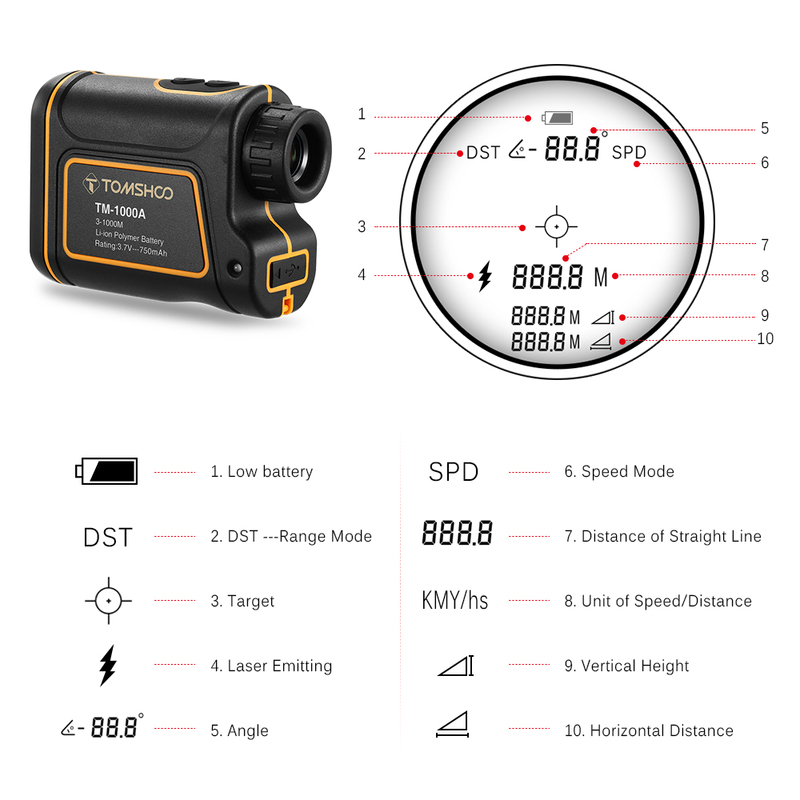 SIMPLE OPERATION: Simple two button design allows you to fast switch between measurement unit (meters/yards) and measurement mode (distance/speed), very ease to operate. 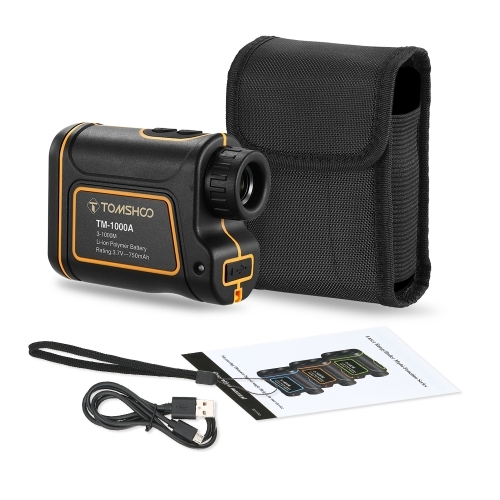 The device comes complete with a wrist strap, USB charging cable, carrying pouch, quick user guide.